Mark and identify your VEX parts! 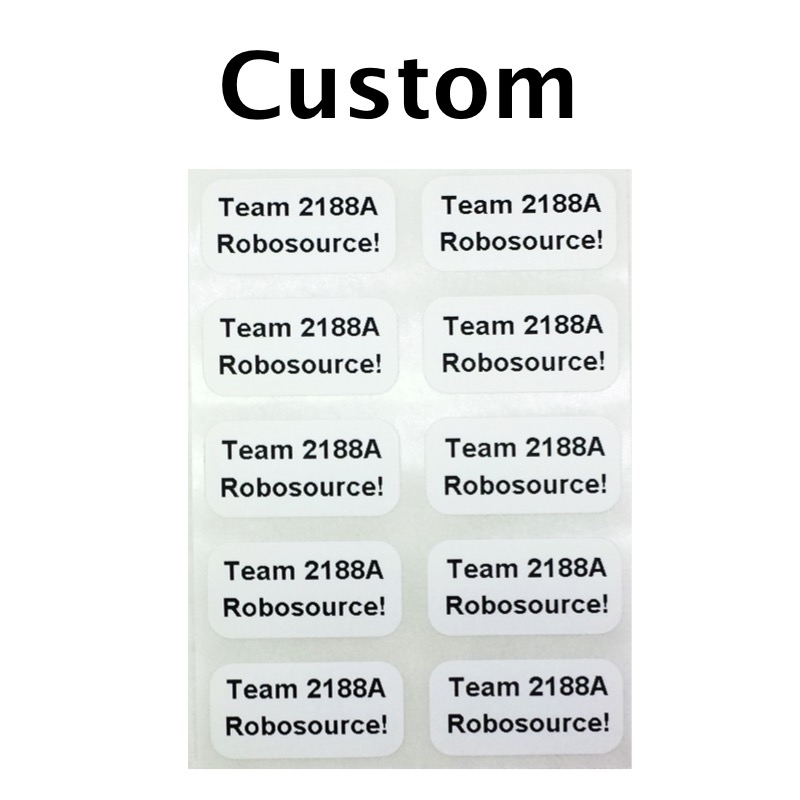 These stickers can be custom printed with your Team Number, Date, Name, or anything else in 2 lines of text, up to 10 characters per line. Comes with a sheet of 10 stickers. 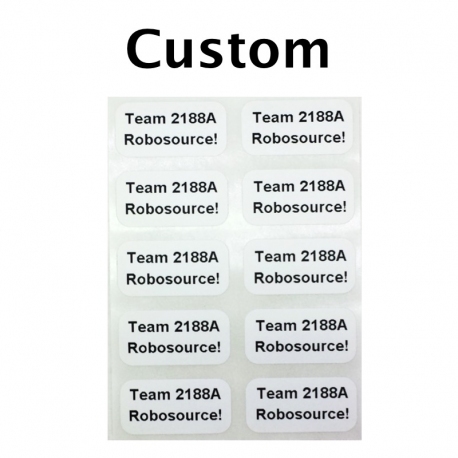 Each sticker measures 0.5" x 1". Enter your customized text to be printed below, click Save, then add to your cart. Maximum of 10 characters per line for this sticker. The text field does not limit entry length, however if you enter more than 10 characters your text will likely be cut off on the sticker.